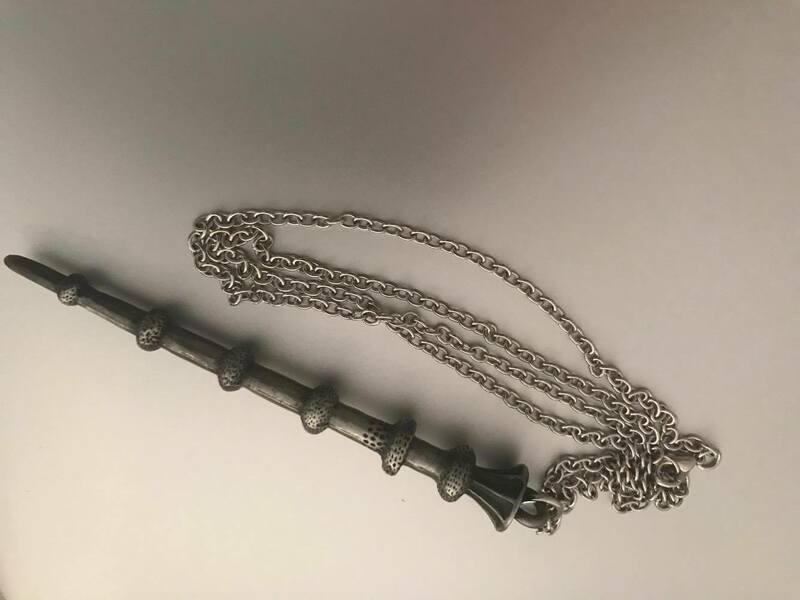 Geek Gear has a special Harry Potter themed edition of their monthly subscription box, now called World of Wizardry! When you sign up, let them know which house you’re in, and they’ll take care of the rest, delivering a box of magical items to you every month! I was a bit late with this months review, but I´ll be better next time. So spoiler alert, if you are subscribed to the box! This is the box first ever exclusive figure! They have previously had socks, arts and other smaller thing exclusive, but I really like that they have started with figures now and I hope that is something GeekGear will continue with. This month it was possible to get one of three different owls and some were more rare than others. From the most limited to most “common” colours you could get gold came first, silver second and a white owl was the most common one. My owl was silver, but if I could chose I would want the white one, as it looks A LOT like Hedwig. 4/6 scars - A good idea that I think will be very popular amongst the subscribers, but the plastic feels kind of cheap. This coaster set is perfect! Each house is represented and the metal tin helps me to keep track of my set. This is definitely something I see myself starting to collect! Collecting coasters from different fandoms, hmm… that`s quite different, I like it! I guess I can make the excuse that they are functional to my dad, as a reason to keep buying! 5,5/6 scars - A wonderful and functional thing to use in your home, and I love that all the houses are represent..
Each month GeekGear has some kind of art/poster you can frame in or hang on your wall, this month it was a beautiful art piece of Hedwig looking magical flying high over a snow-covered Hogwarts. Posters can never go wrong, so I really like this item! 6/6 scars - A beautiful piece of art, that will hang proudly on my wall. I love how the colours pop off this basic black shirt and give it a bit of texture and depth. I’m a Slytherin and I love how the Slytherin snake looks. Even Hufflepuff looks a bit intimidating on this picture, I don`t wear a lot of Harry potter related clothing except for when I´m home, but maybe this will be an exception? GeekGear let's you decide the size you want your T-Shirt to be, which is great, as you get one each month! 5/6 scars - Beautiful T-Shirt, but some of the house animals look a bit odd in my opinion. This keychain made of rubber is great! 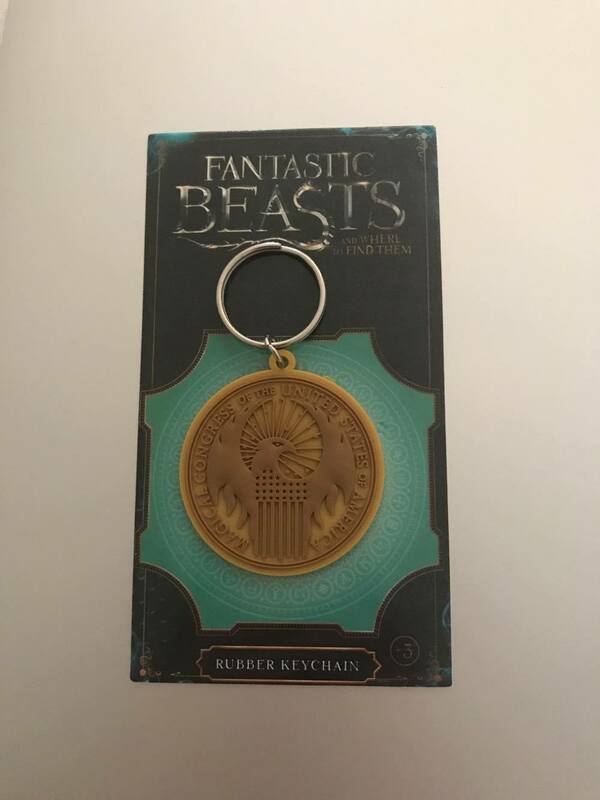 It's exactly how a keychain should be in my opinion; a good size, not to crazy colour and good quality. I can definitely see myself using this one. GeekGear often put key chains in their boxes, but this one is my favourite one so far. 5.5/6 scars- A wonderful keychain, though the back of it was a bit worn out, but that's they only negative thing I have to say about it. I’m not sure which pin puts a bigger smile on my face. Dobby is my favourite big-hearted character but there is no better house than Slytherin. These pins are of wonderful quality and will fit perfectly on a bag or piece of clothing! 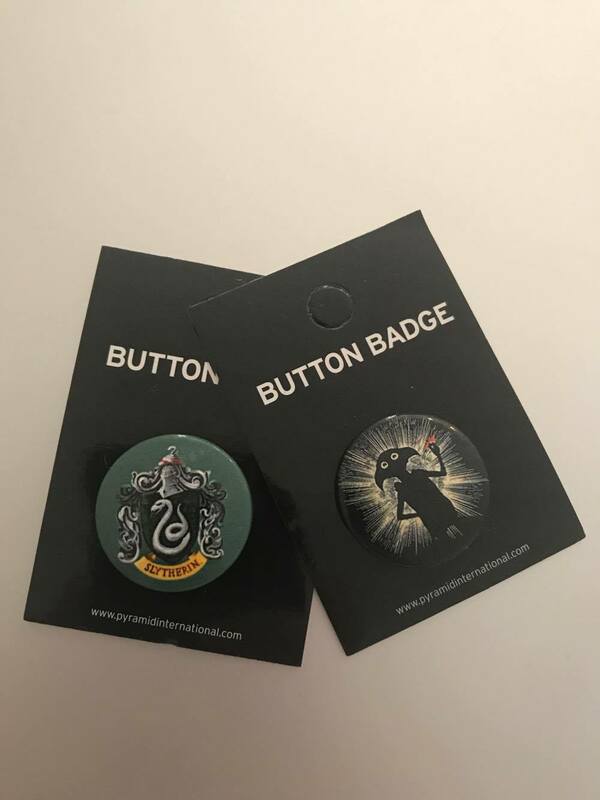 You will get a different pin depending which House you chose. 6/6 scars - Super cute pins, that can not go wrong. 5/6 scars - A beautiful necklace, but it is a bit heavy and big. This picture does nothing to showcase how adorable these stickers are and the quality of them. 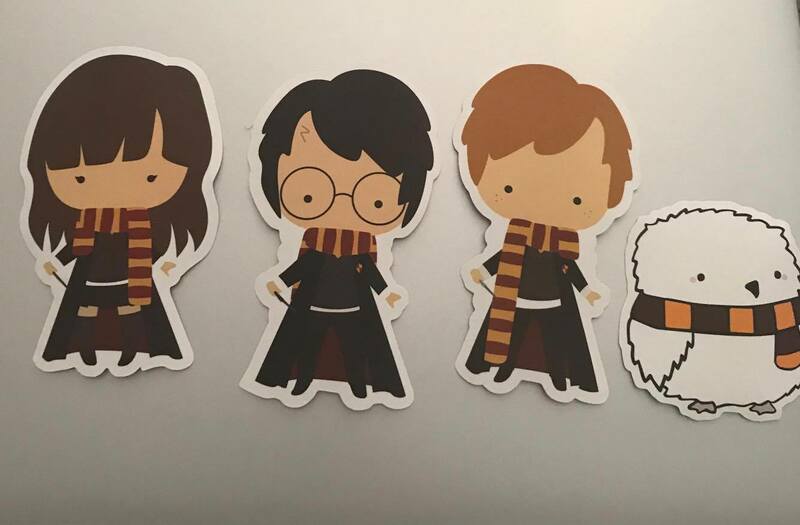 Harry, Ron, Hermione and Hedwig looks so cute, and I might or might not already have placed two of them proudly on my laptop. 6/6 scars- I love these stickers, they are just too cute for their own good. I really liked this box! And the complete box it`s self will get 5/6 scars. Araya Fietta That's amazing! I wish I could get a subscription too . . .